Phoenix is based around a typical "science park", in which main roads play host to stores, garages and occasional houses, while side streets are clustered with large offices, storage blocks and educational establishments. As their time in Phoenix develops, players will hopefully feel urged by desperation to attempt entry to these high-risk locations, and will undoubtedly require all of their skills to persevere through. To play this map, follow the link above and click "Subscribe" on the Steam Workshop Page. The map will appear on your map list in game, once it has downloaded! Please note that images below are presented in-process, and will change over the course of the map's development. For the most up to date view of the map, please see the "whole world" map above. Phoenix is now part of the larger Muldraugh map and is therefore incompatible with all previous versions! Apologies for any issues with save games on older versions, but the future is upwards! 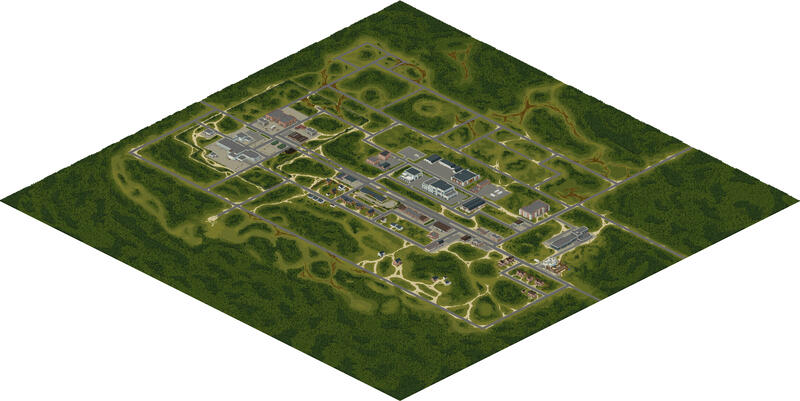 - 9 Cells formatted with basic tiling and roadways. 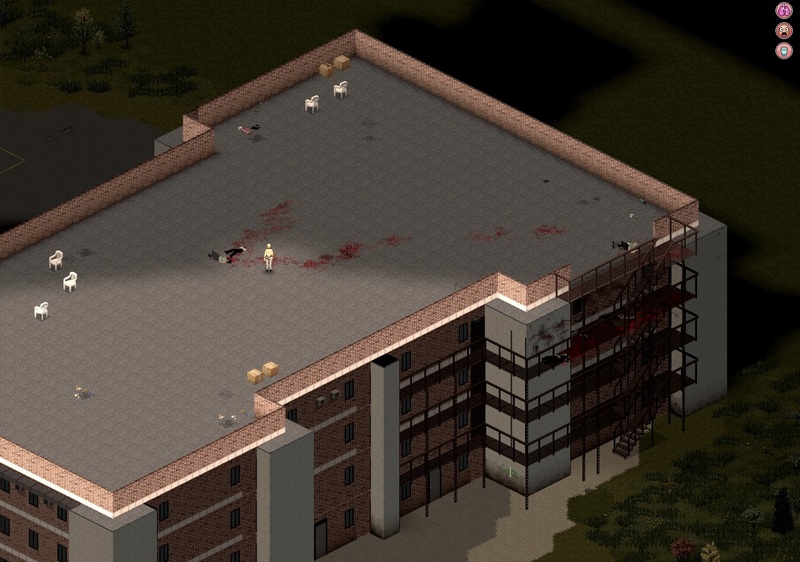 - 3 Cells fully developed with buildings, details and loot. - ZombieMap designed to focus high density on the central roadways. - Basic bug testing and loot balancing. - Quarantine Zone designed and near completion. 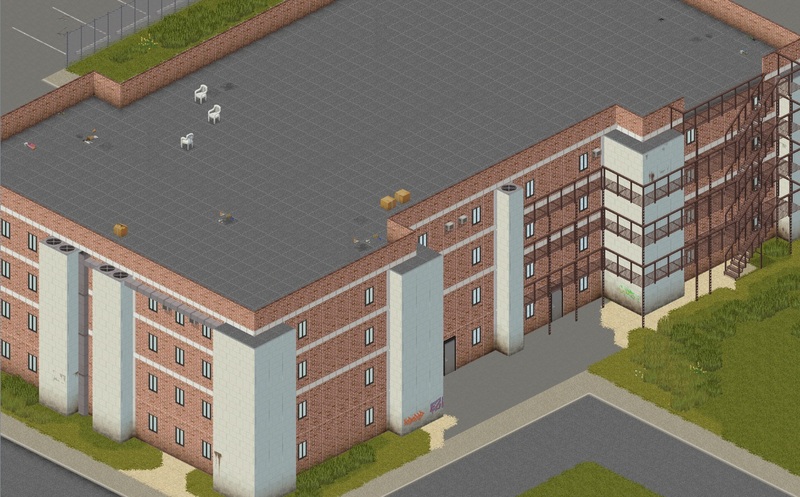 - College and Construction Site complete. - Central roadway, office complex and shopping centres complete. - River and bridges added to cells 0,0; 0,1. - Major update to entire map, extending from 3x3 cells, to 3x5 cells. 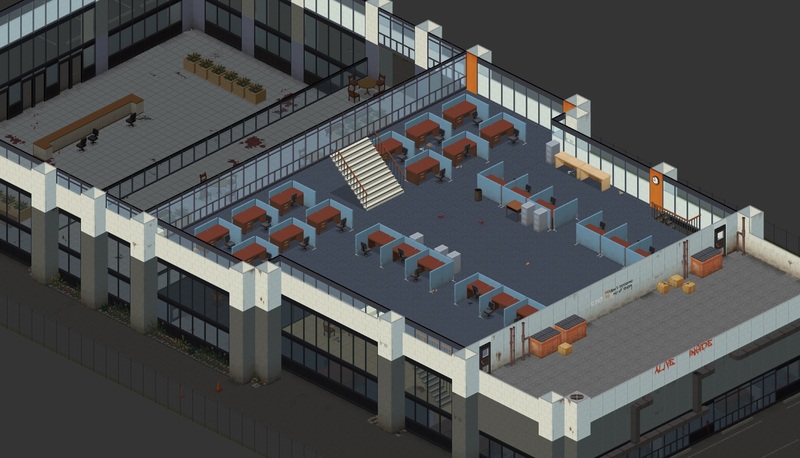 - Quarantine zone extended and populated with gunstore, toolstore, newsagents, police station, hairdressers, clothes stores and several apartment buildings. - Water treatment facility added to north-west. - Room definitions throughout have been fixed, but more are continuing to cause issues. - Spawn points have been reset. 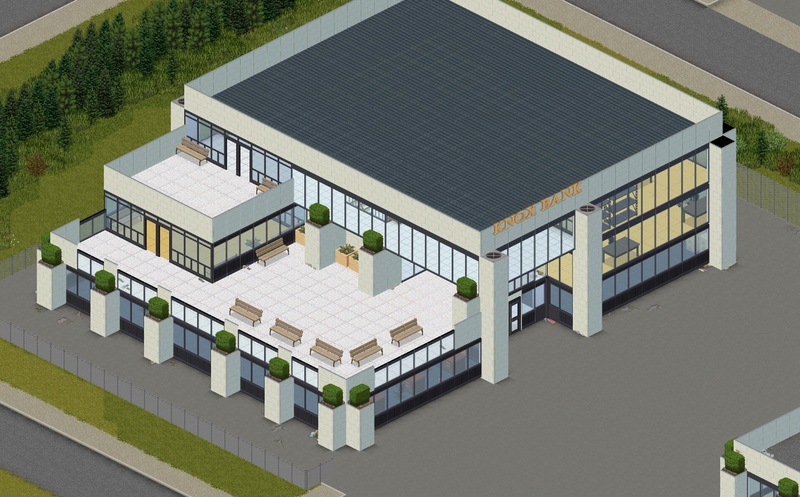 - Fuel has been added to mechanics and petrol stations. - Logging company added to industrial sector. - Balcony of death has been removed from warehouse. - Several visual glitches removed. - Zombie spawn map adapted to make particular areas extremely high-risk. No spoilers here - you'll find them. As always, please leave any feedback, and I'll take it all into consideration! Good work quite well, keep it up, I would like to include my collection of buildings. 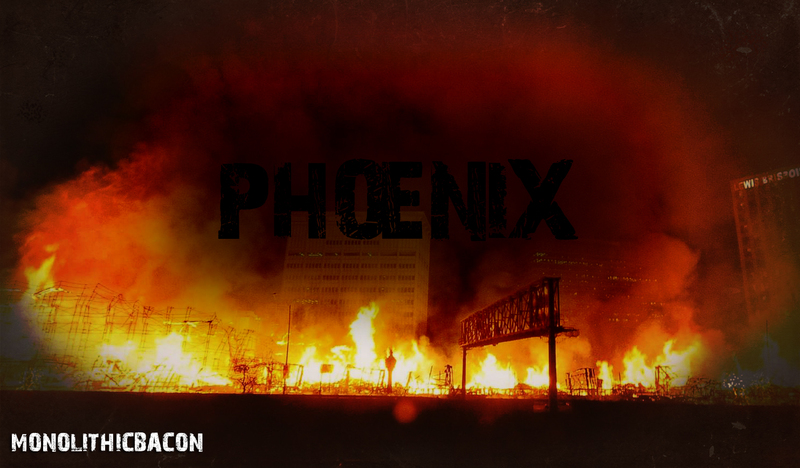 Nice big buildings, how large is Phoenix going to be? The more help the better! Once I have an idea of where the main areas of the map will be, I'll get in touch! Do you have any buildings in mind that you want using? At the moment, the centre of Phoenix is set to be 3x3, but once I've completed the centre cell, I'll have an idea of whether it should be left that size, or made bigger. After all, I'd rather have this finished and small than never completed! Atox: It would be great a couple of industrial buildings, I am also working on a new map, and I plan to do an industrial complex. We have an update, folks! Although I'm not releasing yet, I wanted to keep everyone up to date as the first cell reaches the half-way mark. There's still a lot of extra detailing to go, but the majority of the science park is done. Please read my original post for more information! Also, I look forward to seeing how people tackle my new high-risk zones. 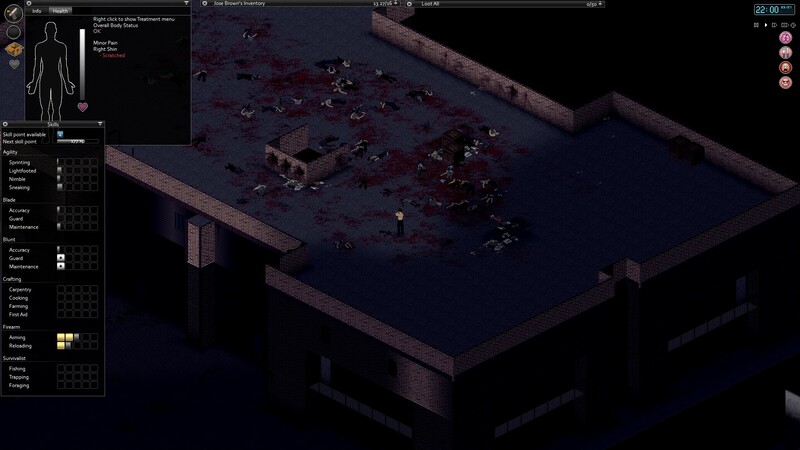 I must have run head-first into 50+ zombies in the Eon Centre. We've hit the 60% mark on the first cell, which is filling up nicely! Please check the first post for new images, and please drop any feedback, whether positive or not! Thanks for all of your help, once again. It's nice to get my hands dirty without having to stop every time I encounter an issue. I'll be back with more updates soon! Shamelessly plugging my own thread? Heck, why not! Check out the latest updates in the first post above, or a quick few images down here! That's some good work, but the only thing I don't like is the roof cap in the 2nd picture. It just doesn't fit there. The wooden one, on the GP surgery? I was considering changing it, honestly. But I'm unsure which would blend best with the stone. I'll try a mix of things! The wooden one, but if you really can't find anything that blends with it, this is my suggestion. 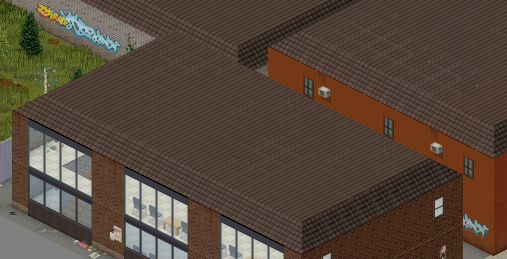 One of the lighter blends seem to work with it, but that roof design should come in useful! I've struggled with some of the industrial buildings. Phew! It's been a big update and it's taken a few days, but one cell is entirely done, and another is half way! Not much of a visual update this time, folks, but more of a behind-the-scenes. I've been working on blending the cells together to ensure I have a cohesive map before I work on adding more buildings and such, but in doing so, I have created a quarantine area to the North. This fenced-off section of Phoenix will contain the Hospital and several large apartment blocks which will be "plaggy-bagged", offering yet another high-risk high-reward location. In this process, I have started to work on the spawn map, and, well, this happened. Needless to say, the quarantine zone is quarantined for a reason. Is there any chance of a release soon? I want to er..search for bugs...yeh. 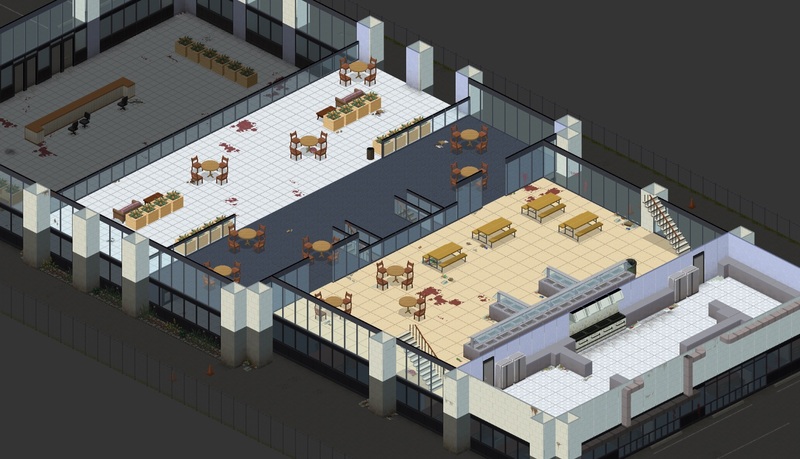 This map will be looking at a release in around 2 weeks time, if I can keep pushing at it. But there's still a long way to go! Full version or an alpha/beta? Just an alpha for now. I have plans to extend the map outwards considerably, but only once the central roadway is done. 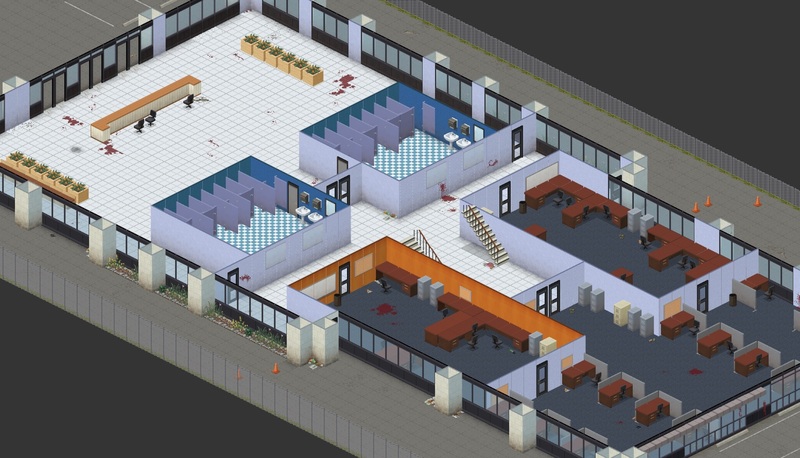 Another shameless plug, but below is the current map, getting ready for the alpha release. Please bare with the image - it takes a long time to load. Click it for a better view! There's a few more major steps to make, but for now the release will focus on the central roadway and the functionality of the buildings there. In updates to come, the outskirts will become housing estates, the quarantine zone will expand, and the map itself will become longer. The pre-alpha 0.1 has been released! Please note that this map is very much a work in progress, but for those wishing to test it out, check out the first post for the current standalone map. excellent job, congratulations on your map.